Exact diagonalization is an unbiased and versatile method to study a large variety of quan- tum many-body systems, ranging from quantum chemistry and nuclear structure calculations to correlated systems in condensed matter physics and ultracold atomic gases. 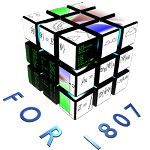 This project aims at developing and applying a parallel exact diagonalization code for current open prob- lems in the fields of frustrated quantum magnetism and SU(N) magnetism of ultracold atomic gases. This code will be able to solve eigenvalue problems with linear dimensions beyond 1012 states, corresponding—for S = 1/2 quantum spins—to systems consisting of ∼ 50 sites. Using this technology we will address the low-energy physics and the entanglement structure of the S = 1/2 kagome antiferromagnet, the anomalous excitation spectrum of the S = 1/2 triangular lattice antiferromagnet, and their experimental response functions relevant for inelastic neutron scattering, Raman and resonant X-ray scattering. In the field of SU(N) quantum magnetism with alkaline-earth atoms, we will focus on systems with N > 3 in the fundamental represen- tation on various lattices, where exotic spin liquid phases have been predicted theoretically in large-N studies. The technology developed in this project is expected to be useful in the future to push the limits in exact diagonalizations of fractional quantum Hall effects at various fractions under debate, and to contribute to the exploration of the rapidly growing field of interacting topological insulators.